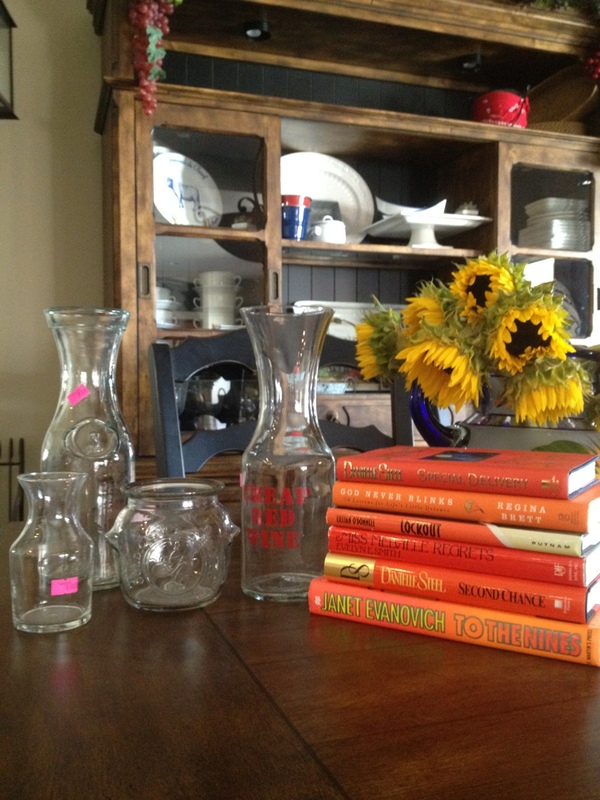 I visit Thrift Stores for goodies and here is what I found today. I accent rooms with a touch of Orange and got all these orange covered hard backs that I will tuck in a dark spot to brighten up. The glass ware I will use in some way for hostess gifts, add chalk board labels to them or fill some with homemade treats. Spent $10.00 bucks and saved a bunch. It’s October 1st, and do you know where your Decorations are? I finished putting up my Halloween & Fall Decor, YES! This is one of my favorite time’s of year. I put out Halloween & Fall Decor together and after Halloween passes I pluck out the Halloween and enjoy the Fall decor until after Thanksgiving. I figure you guys do the same and I just wanted… Continue reading It’s October 1st, and do you know where your Decorations are?